Louise Harel says she plans to return to university for a week of English immersion. 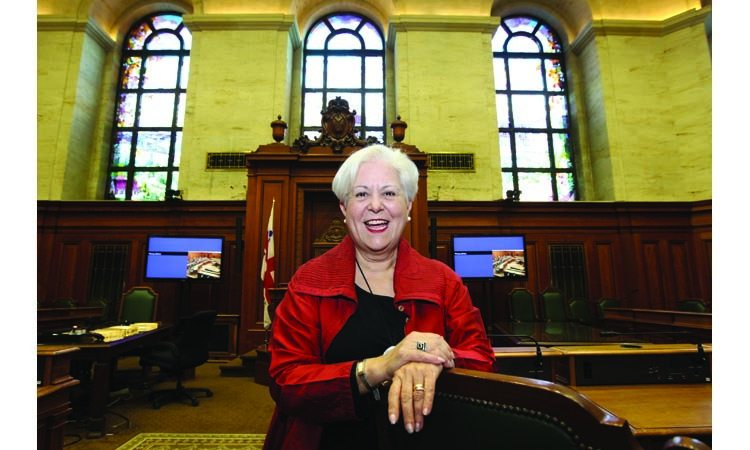 Now that Montreal has its first anglo mayor in a century, Louise Harel has a new record in mind: becoming the city’s first female mayor. With city hall shrouded in a black cloud of collusion, corruption and kickbacks, Harel sees herself as having a credible chance of taking over next November. On paper it looks good for Harel, the former Parti Québécois cabinet minister and National Assembly speaker. She won 33 per cent of the popular vote in 2009, not far off the 38 per cent won by now-ex mayor Gérald Tremblay. Harel, a Ste. Thérèse-born law graduate who rose to prominence as a PQ activist, cabinet minister and national assembly speaker, seems to be next in line. But a Léger poll last month published in Le Journal gave her only 10 per cent support, while Projet Montréal’s Richard Bergeron got 14 per cent and potential candidate Denis Coderre, a veteran Liberal MP, 40 per cent. Now 66, with three grandchildren, she appears full of energy. Harel is married to Edmond Omran, president of Montreal-based Medical Aid for Palestine, and they live in a loft near the Olympic Stadium, part of her former riding. As Tremblay’s Union Montréal party implodes, Harel is cautious about linking the reaction to Charbonneau Commission revelations of construction industry corruption and collusion with city bureaucrats and her goal of becoming mayor. She concedes that recruiting a high-profile anglophone as a running mate will be essential to boost her chances among the almost half of Montrealers who are anglos or allophones and overwhelmingly federalist. “See me in March or April,” was all she would say about her recruitment effort. Improving her halting English might boost her chances. 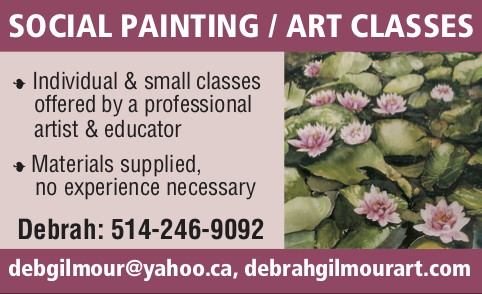 She plans to return to Bishop’s University in Sherbrooke this summer for a week of immersion. Harel has never renounced her belief in an independent Quebec. She quit the PQ cabinet in 1984 when then-premier René Lévesque decided to put the referendum strategy on the back burner. “It proves one thing—I have very strong convictions,” she said with laughter. She continued laughing when asked how she would vote if a third referendum were called. She cites as an example her own “very strong support” for Michael Applebaum, an anglo federalist, as interim mayor, though she got numerous letters opposing her position. “And I started with my own party, where I did clean things up,” she said. She fired former Ville Marie borough mayor Benoît Labonté in October after learning he had been in contact with construction magnate Tony Accurso, who is now facing criminal charges. After first denying he had been in contact with Accurso, Labonté conceded he had accepted cash donations from him. Harel says she knows nothing about the money, what it was for, how Labonté used it or intended to do so. Meanwhile, she recounts how she pressed for a formal public inquiry into construction industry corruption. “Starting in December 2009 and every month thereafter for 2½ years I asked for support on council for a public inquiry into the construction industry. “I was supported the first few times, but then I was told it was enough, that it’s harassment. Prior to the commission hearings, Harel says her office did its own research and last year studied 300 sewer and sidewalk contracts. Montreal should follow the example of New York and establish its own agency to serve as an independent watchdog to investigate and refer for prosecution cases of fraud, corruption and unethical conduct by city employees, contractors and others who receive city money. Harel and her party have not been above infractions to Quebec’s electoral law and questions about $500-per-person luncheons that attracted donors who do business with the city or would like to do more. According to François Croteau—the Rosemont-La Petite Patrie mayor who quit Harel’s party last year and joined Richard Bergeron’s Projet Montréal—that is exactly what happened on January 19 and June 7 last year when the party hosted executives of real-estate firms, architects, or urban planners. None was a registered lobbyist, but he believes that is what they were doing. Harel says it is “absurd” to suggest there was anything unethical about the meetings. Harel herself has pleaded guilty to infractions of the Quebec electoral law by guaranteeing a $240,000 loan to the party in December 2009. Her aide, Soraya Martinez and 16 elected councilors each provided $20,000 in loan guarantees, all designed to underwrite a $550,000 loan. Each has agreed to pay the $484 fine. Harel maintains she and her advisers were unaware the Quebec electoral Act limits to $10,000 the amount an individual may guarantee. No one has accused Harel of being dishonest. With her former husband, the late union activist and MNA Michel Bourdon, she was part of an attractive power couple in the 1970s in Quebec City. They were considered to represent principle and integrity. As municipal affairs minister, she pushed hard for municipal mergers, which she continues to support. She refutes any suggestion that corruption is linked to the merger. Harel believes the boroughs have too much power and cost too much. If elected, she plans to reduce the number of boroughs and elected officials.